LOOSE AND LEAFY in DORSET: WHAT IS THIS TREE? There are some things which are so familiar in our ordinary lives, or in the turning seasons, it is easy to forget that what we take for granted is unkown to many who live elsewhere. I was surprised when several people said they hadn't seen catkins before. I've been watching this tree for a few years. It isn't the sycamore which I've drawn to your attention and re-visited from time to time. 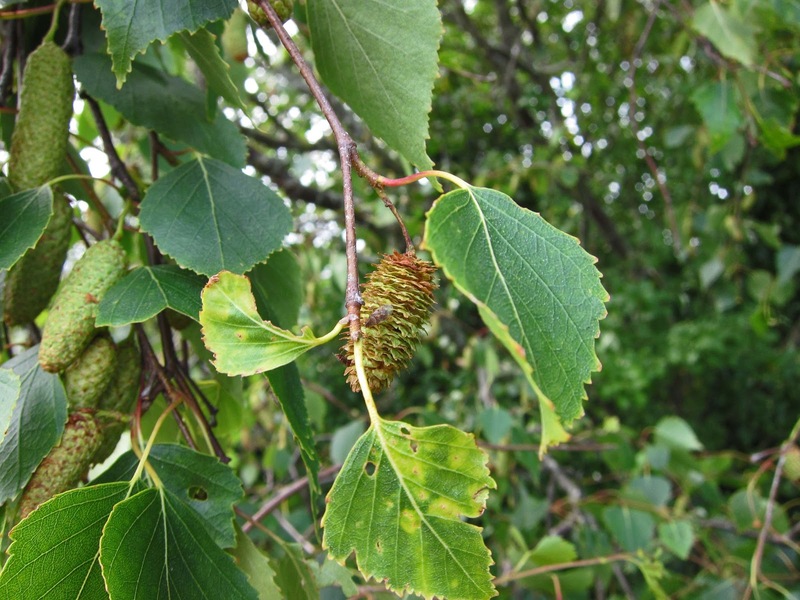 I think it is a birch - though what kind of birch, I am not sure. 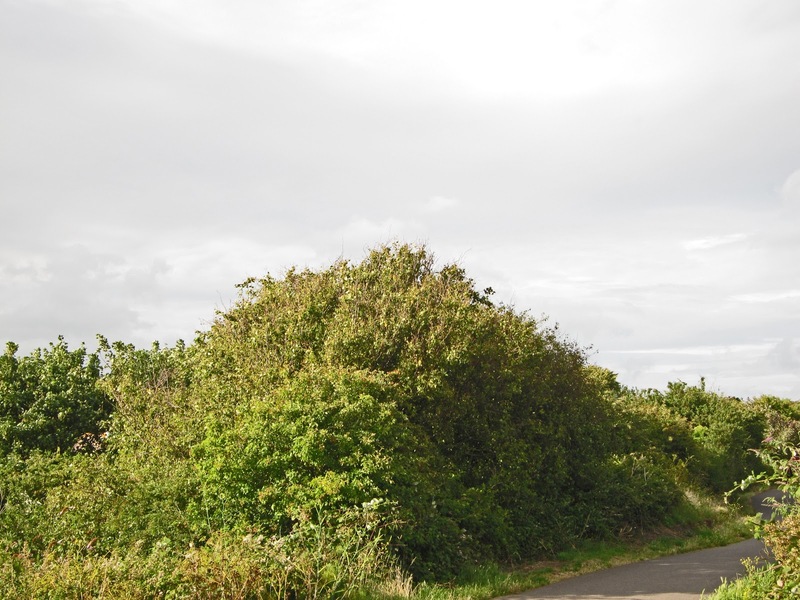 It first came to my particular attention when the sides of the paths were cut and the branches of the trees and bushes which lined it were slashed. I was worried that the resulting damage might open the trees to rot and disease. It seems my fears were unfounded. Here is something which concerned me at the time. 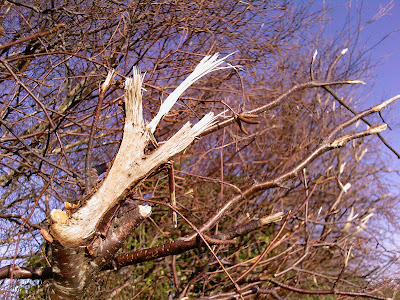 Here is the same branch now. Bits have fallen off but that's all. It's a beautiful tree, but it's part of a clump. From a distance, they are indistinguishable, one from the other, and the result is a domed blob. Not only that, they have their feet in a dip so I don't know how tall they are - just that we are standing amongst the top-most branches! You can see where the bushes and branches are shaved off along the path. (This year's 'tidying' was effected about a month ago.) This is necessary if it is to be safe - even to exist! This picture also show why I often like to look at trees and plants close up - there is much more to see. Take a look! Here you can see leaves and stalks and veins. There are more colours. Healthy leaves and an un-healthy one; evidence of insect activity and catkins in their stages. One is beginning to turn from green to ripe. There is a ripe catkin which is begining to shed its seeds - you can see where they have fallen off and made a gash. There's an old brown one too. If I knew more . . . there would be much more to say. Here's one of the semi-ripe ones still on the tree. 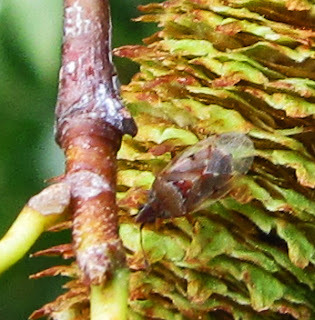 Go in close and you can see a Birch Catkin Bug (Kleidocerys resedae). But what kind of birch is the tree? A Downy Birch has been suggested but I'm hesitant to agree. I know nothing about birches and little about trees but, when I look at pictures of Downy Birch on Google images, the bark is very much lighter. What do you think? Are you able to identify this tree? I really like it tree, whatever it is. I thought it was Birch but I can give you no help in a real ID for it. No doubt someone will know and tell you. 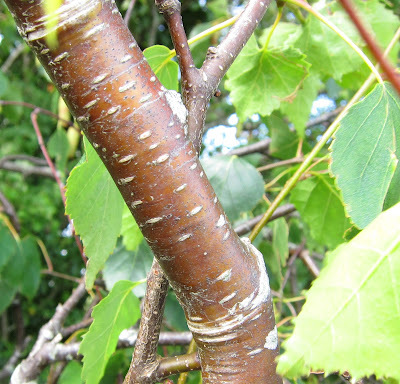 Perhaps it is Betula Utilis, the bark seems similar? I can't help with the ID, either. But it is a beautiful tree, and your photos are beautiful, as well! Birch, one of my fave trees. We have a weeping one near our back door which is lovely. The bird feeders are in it so there are always lots of little birds too. Sorry, but I'm no expert on trees, so I can't help with the ID. Round our way Birch trees are very common and grow up everywhere at the slightest opportunity, so we tend to treat them like weeds. Our are mostly Silver Birch I think, judging by the colour of their bark. 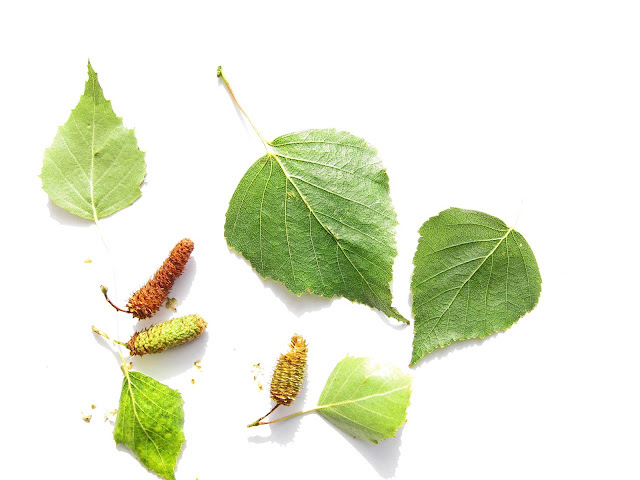 Do you think it might be Betula occidentalis or American red birch (also called water birch)? I'm no help, either, but, you made a lovely post about it that drew us in. Interesting. 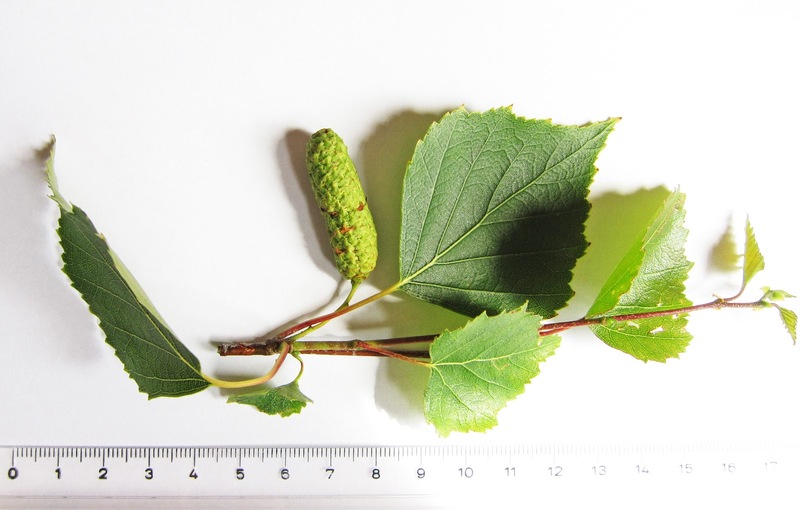 I'm really no good at tree ID even though I'm surrounded by birch up here in Scotland. I like the detail you've shown here - next time earlier in the season have a look and see if you can spot the tiny female flowers quite near the male catkins as it's only male flowers that produce catkins. I'd bet it was Downy birch judging by the catkins. Google pics not always reliable so checked my Field guide. Downy and Silver birch do cross and results in characteristics of both so this may be a hybrid. Without your great pics, none of us could guess. 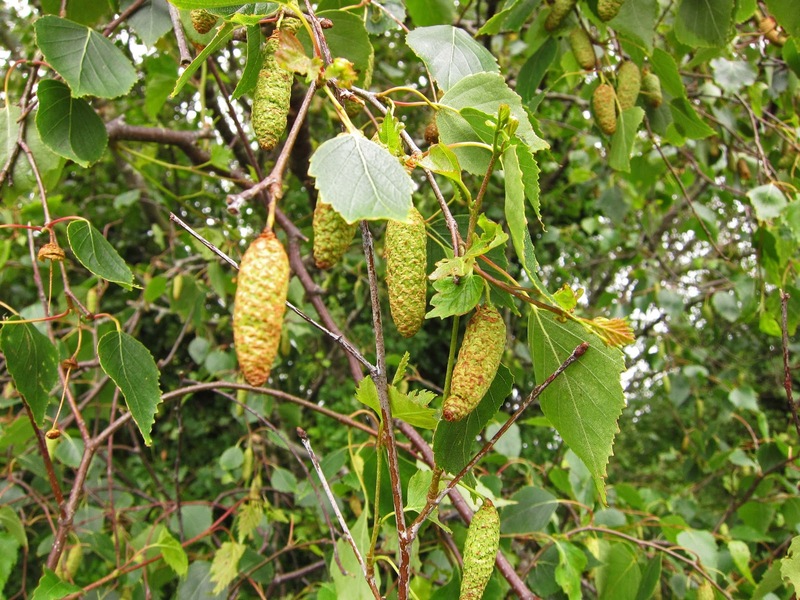 I vote for some kind of birch, but as there are more than 30 species, I can't tell you which. If they are cut down and "shaved off" they can have almost any shape. 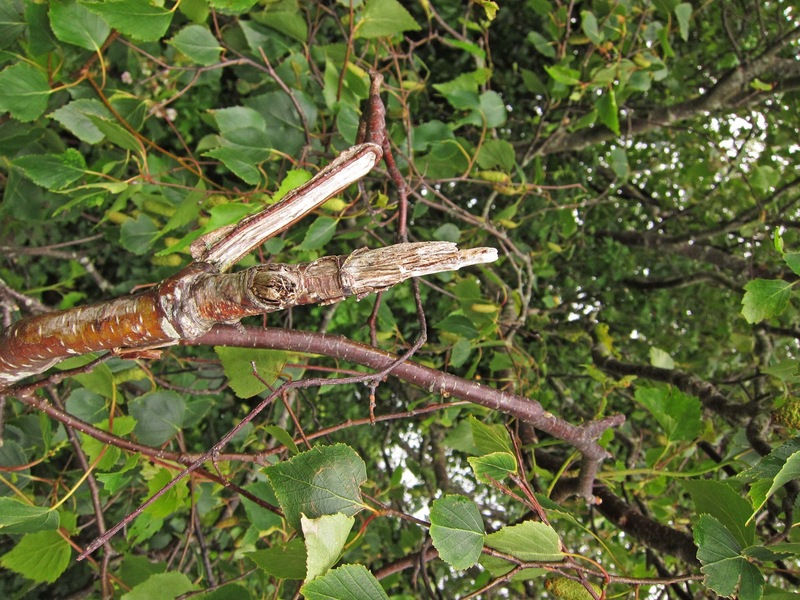 Smaller twigs often have that brownish colour. 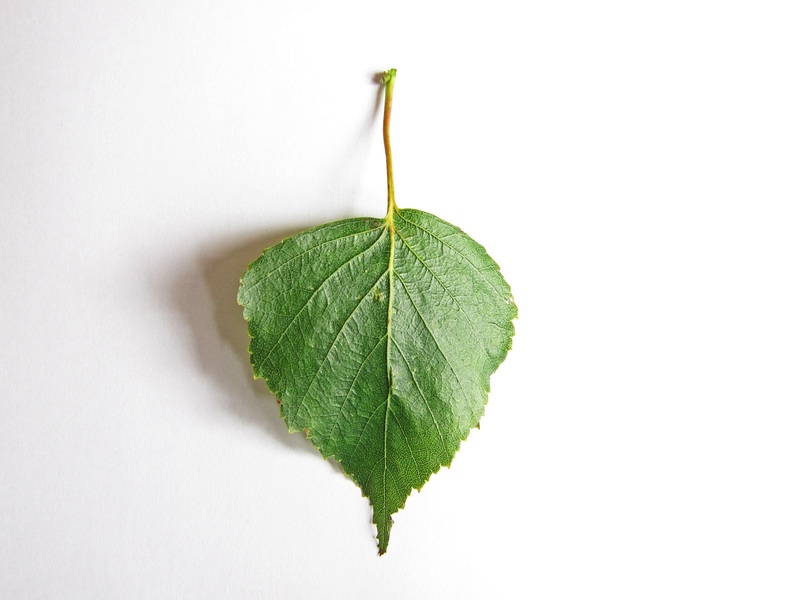 Dear Everyone who commented on the 'What is this Birch?' post. I think the only way we'll advance in this is when I am able to climb down the bank to get to the lower part of the tree to see what colour the bark is on the older bit of the trunk - and I doubt I'll manage that until the leaves fall and the undergrowth dies back in the autumn. I won't forget. I've been wondering what this tree is for quite a while. It's just that my interest was re-kindled when I noticed the catkins. P.S. You may like to know I've just published a post on Corfe Castle, a little to the East of here. It's on the Isle of Purbeck - which isn't an island . . . but neither was Avalon!